A reliable compact high-performance configuration bitstream storage and delivery solution is essential for the high-density Virtex-5 FPGAs Platform Flash XL is the industry's highest performing configuration and storage device and is specially optimized for high-performance Virtex-5 FPGA configuration and ease-of-use. Platform Flash XL integrates 128 Mb of in-system programmable Flash storage and performance features for configuration within a small-footprint FT64 package (Figure 5). 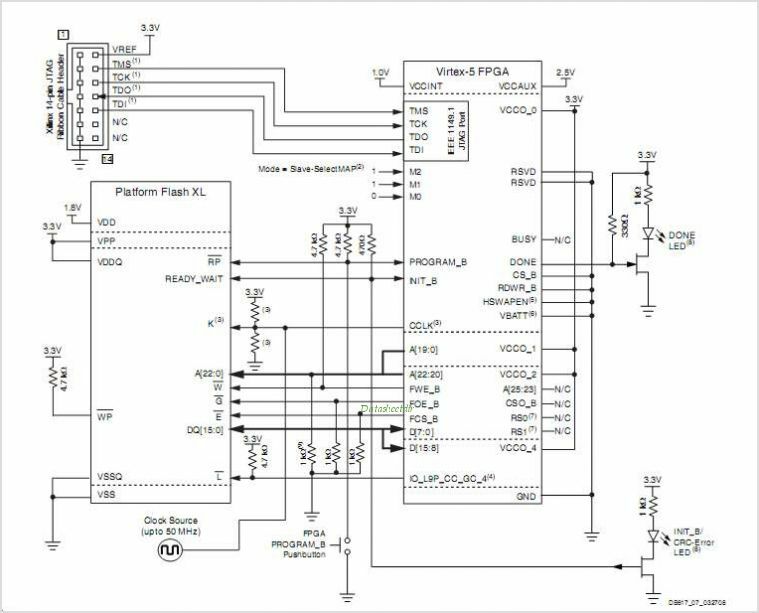 Power-on burst read mode and dedicated I/O power supply enable Platform Flash XL to mate seamlessly with the native SelectMap configuration Interface of Virtex-5 FPGAs A wide, 16-bit data bus delivers the FPGA configuration bitstream at speeds up to 800 Mb/s without wait states. By Xilinx Corp. 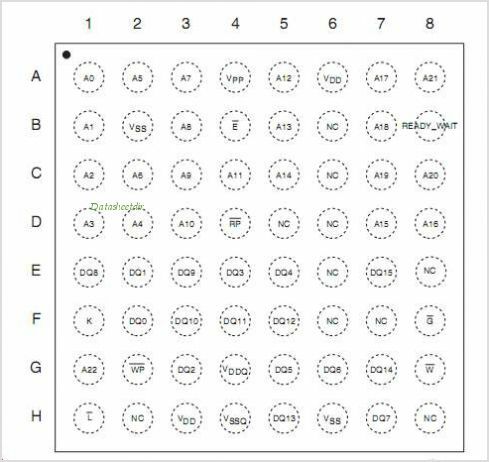 This is one package pinout of XCF128XFT64C,If you need more pinouts please download XCF128XFT64C's pdf datasheet. This is one application circuit of XCF128XFT64C,If you need more circuits,please download XCF128XFT64C's pdf datasheet.